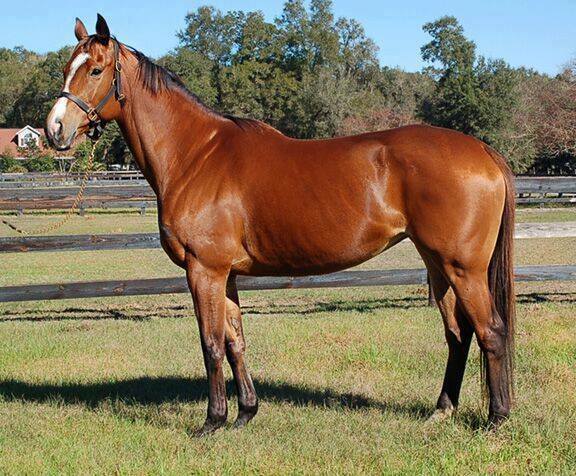 Vintage Candy, or simply Candy around the barn, is a 2008 Thoroughbred mare. Candy raced until 2013; she was 3-5-5 in 34 starts, earning $42,177. Candy had two foals after she retired from racing and was sent for basic dressage training in 2016. I acquired her in August 2016. These days, Candy’s still learning to do some of everything- dressage, foxhunting, trail riding, and more. She enjoys swimming, making ugly faces at other horses, and getting form Point A to Point B as quickly as possible.